persona, his own career longevity, his understanding of modern technology, and the benefit of staying true to yourself, no matter what the situation. Welcome to the Shatnerverse. James Spader. In addition to acting, Shatner began a career as a writer of science fiction novels. The first one, Tek War, was published in 1989. 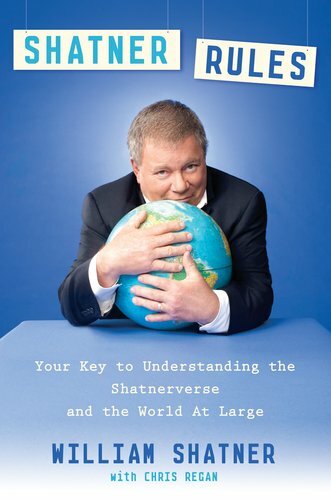 Shatner has also written his memoirs, Star Trek Memories. He was nominated for an Emmy Award in 1999 for Outstanding Guest Actor in a Comedy Series for his performance as The Big Giant Head on the TV series 3rd Rock From the Sun. Rule: Get The Damn Line Right! Rule: If Anyone Asks You To Star In A Movie Shot Entirely In Esperanto. Say "Kiam Kaj Kiel Multa?" Rule: Remember Where You Came From... Eh? Rule: If You Look A Gift Horse In The Mouth, You Might Find More Gifts! Rule: If You Go To The Land Down Under, Thumb It!